We partner with the people of Sweetwaters (Mpumuza) to transform a generation of kids and teens through mentoring and education, so they may bring hope to their community and be a light throughout South Africa. 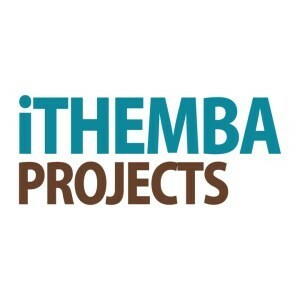 iThemba Projects is a faith-based non-profit community development organization. Education: Through site-based and home-based interventions, we’re partnering with teachers and parents in Sweetwaters to bring quality Early Childhood Education to children in this community. The iThemba Preschool serves as a hub for this work, but our goal is not to create our own structures so much as to empower the existing structures within the community. Mentoring: Through Life Skills classes in seven schools, after school running club, after school Life Groups and weekend kids and teens clubs, as well as home visits and camps, iThemba mentors are stepping into the lives of young people and giving them the social and spiritual support they need to make wise life choices. Our philosophy of community engagement: iThemba is committed to the long slow journey of sustainable community development, seeking the advice and input of the community itself, and doing all we can to help without hurting. We are also passionate about linking different communities, such as Hilton families, churches and business, and walking this journey together. We'd like to invite you to visit our website: www.ithembaprojects.org.za , which gives a clearer picture of what we do and why we are so passionate about it. Our website also explains how you can partner with us in this work. You're welcome to give us a call if you have any questions.